Nicole is a learning and development consultant who helps people relax, build personal image, improve communication and understand relationships. She helps people discover their innate talents and apply them to everyday life. 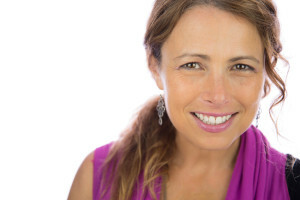 Nicole offers a different approach to traditional self esteem, personal development or stress management by combining narrative technique with mindfulness practice and strengths performance coaching. Playing to your strengths allows you to experience the increased energy and wellbeing that comes from living the life you were born to live. The key is distinguishing between the stories you’re told and the stories you tell ourself. Nicole connects the the powerful tools provided by the Gallops Strength Finder with the practical strategies from her Is This MyStory personal identity program, to help people develop the communication skills and mindful flexibility required to live life, rather than simply reacting to it. Is This MyStory workshops and coaching sessions guide a person toward understanding their talents, developing their strengths and recognising how they fit within a wider community. Nicole helps managers appreciate the value in their team and team members see the value in each other. The Is This MyStory processes helps people develop the mind strength and effective communication skills necessary to build resilience, manage emotions, recognise thoughts and be purposeful. During 17 years teaching Secondary School English, Nicole’s passion was helping frustrated students feel more relaxed and in control. She challenged students to think critically and creatively about the thoughts and emotions beneath their behaviours. Nicole equiped young adults with the critical, creative and emotional literacy skills required to be the person they want to be. She encouraged them to accept responsibility for their thoughts, emotions and actions. She brings the same strengths to her adult clients.